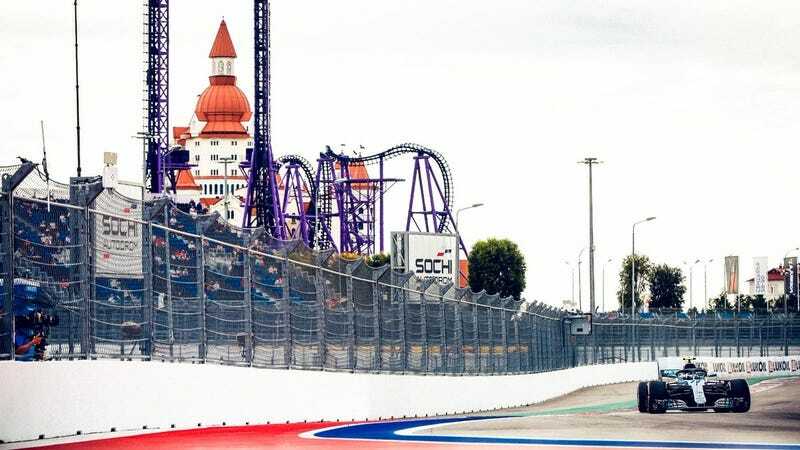 After Valtteri Bottas took pole at the Russian Grand Prix, and led the opening stint of the race, his team told him to stand down and allow Lewis Hamilton into the lead of the race to protect his points championship contention. Hamilton now leads over Ferrari’s Sebastian Vettel by 50 points with only a maximum of 125 points remaining in the 2018 season. Outside of the team orders, this race seems largely processional and uneventful. As the race got away at the start, Vettel tried to lay an attack on Hamilton’s second position. He looked to get a good start, but Hamilton held him off at turn one. When Hamilton locked up under braking for turn 2 avoiding Bottas ahead, Vettel again tried to come in between the two Mercedes racers, and was again blocked from that happening. Vettel finally did get by when he undercut Lewis in the pit stops by one lap. While Hamilton was in the pits, the team told Bottas to attempt to back Vettel up a bit, but it wasn’t enough and he moved into second when Hamilton rejoined behind the pair. Following the pit stop, Hamilton responded with fierce and precise action. He was back within striking distance of Vettel just a couple laps later, and tried to make a move down the inside at Turn 2. Vettel, on that one, rebuffed Hamilton, though appeared to make a reactionary double move to the right in the process. Another run around the outside at turn 3, turned into the inside move for turn 4, allowing Hamilton back into second. 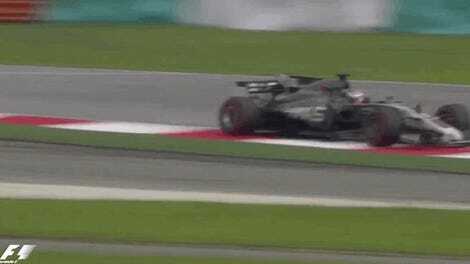 From there, he split from Vettel and quickly caught the leading Bottas. Max Verstappen, running an incredibly long first stint, was holding up Bottas, who was in turn holding up Hamilton. The team told Bottas to move aside for Hamilton to protect his position from Vettel. When Verstappen finally pitted, Hamilton and Bottas streaked off together at the front, securing a large lead over Vettel. Bottas asked if they were going to finish in the original order, and he was told to maintain station in second. Maybe Valtteri Bottas does deserve better. Kimi Raikkonnen finished fourth, while he was followed by the two Red Bulls. Charles LeClerc crossed under the flag in 7th position, earning him the honorary ‘best of the rest’ title this week, and netting some much needed points for Sauber. Kevin Magnussen ended up 8th, the first car a lap down, for Haas. McLaren, meanwhile, could do no better than 14th with Fernando Alonso.